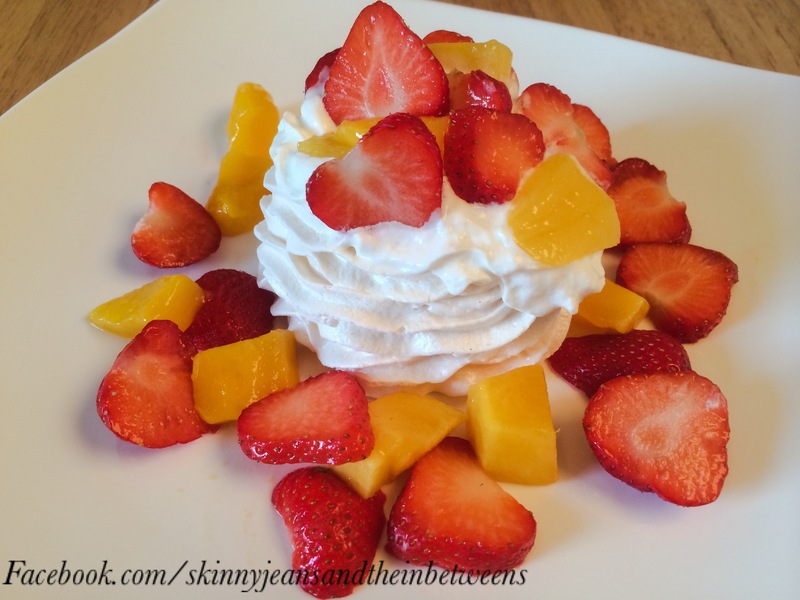 Premade meringue nests are the oldest trick in the book to curb a sweet tooth while watching your figure. 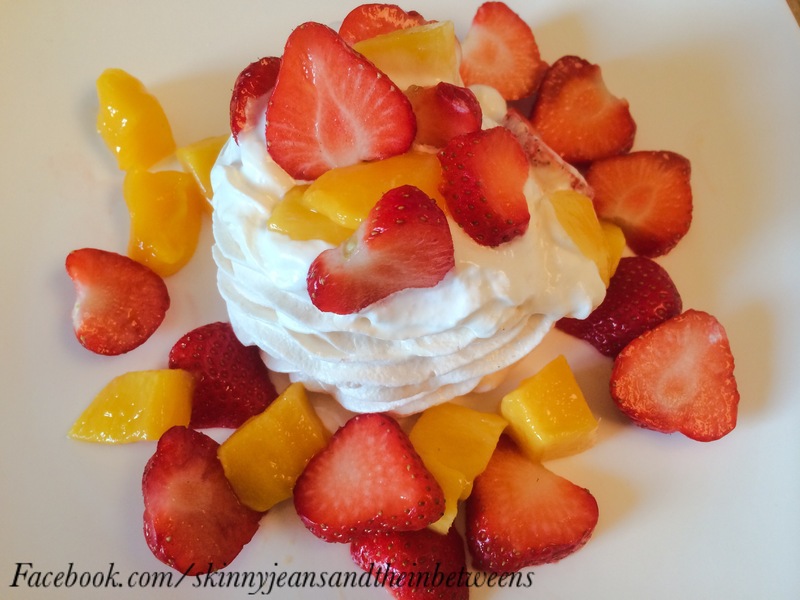 Sweet & Light they are a perfect lowfat easy summer dessert option with fruit & squirty cream for as low as 2pps! I gave this 3pp as the meringue nest is slightly larger than usual. 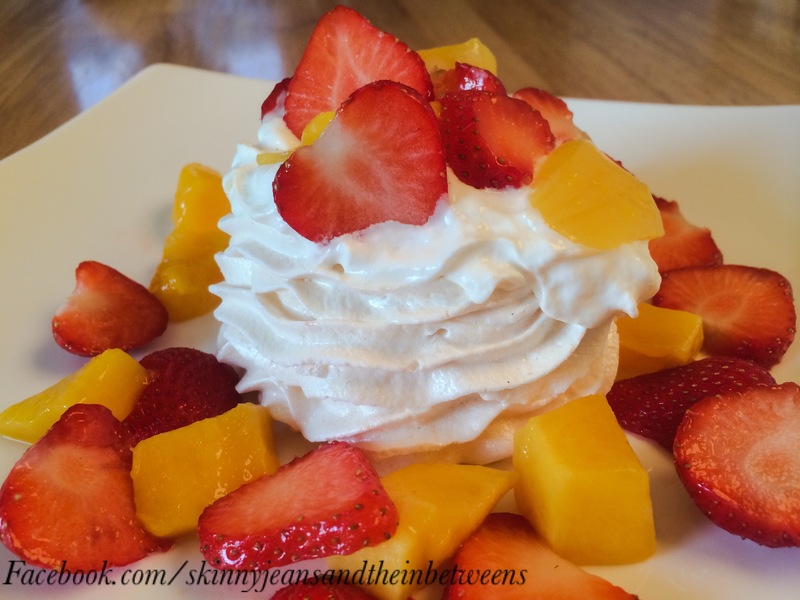 This is simply 1 Meringue Nest, 20g of Light Whipped Squirty Cream & Freshly Chopped Strawberries & Mango. Summer in a bowl! Hope you’re all enjoying the fabulous sunshine today!